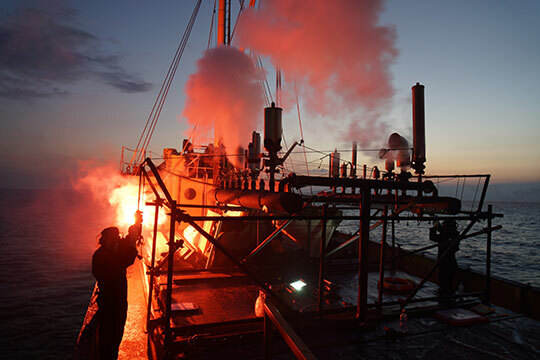 51° 21’ 45″ N, 1° 01’ 13″ E Whitstable Sounding: Rockets and Blue lights (close at hand) to warn steam boats of shoal water. 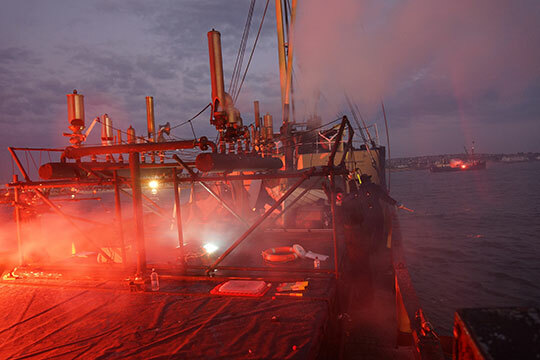 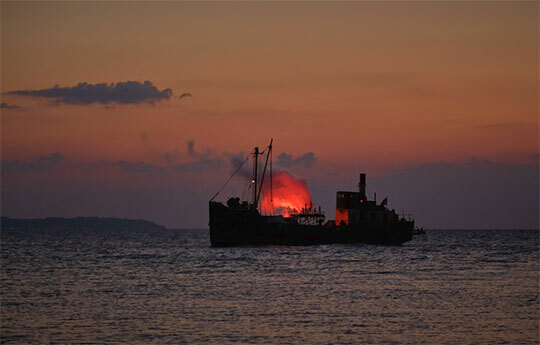 Whitstable Sounding is a site-specific, symphonic, maritime performance with ships, ships whistles, horn, sirens, search lights and flares for Whitstable. 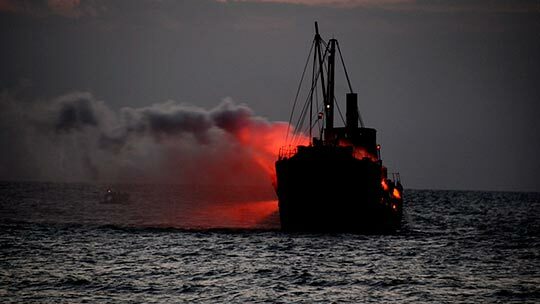 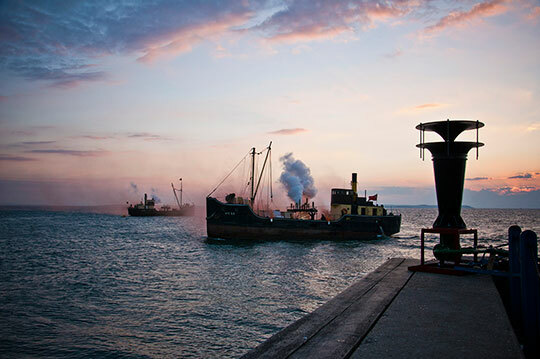 Based on the paintings of Turner, this enigmatic mid-summer’s steam ship performance formed part of the Whitstable Biennale 2014.